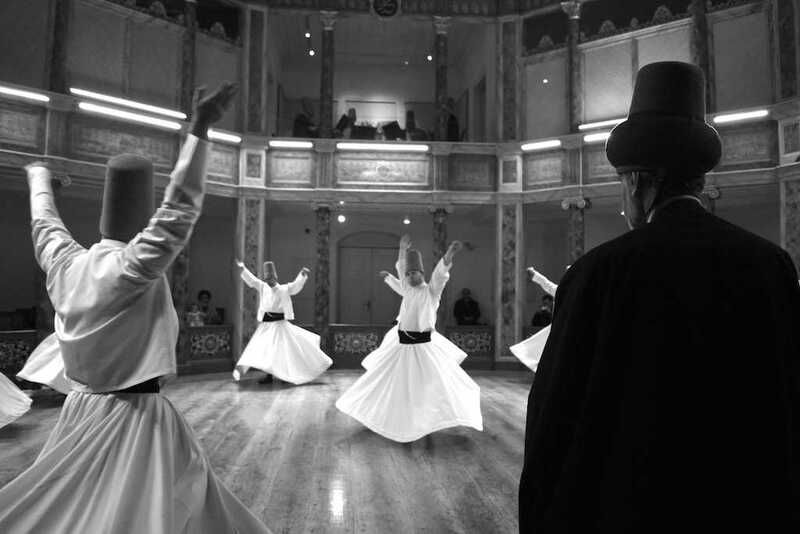 Afterwards called as Divan Edebiyati Muzesi (Divan Literature Museum), the priceless building which reflects us the understanding ofMevlana (the famous Anatolian mystic)about sophism and sema (whirling) ceremony. 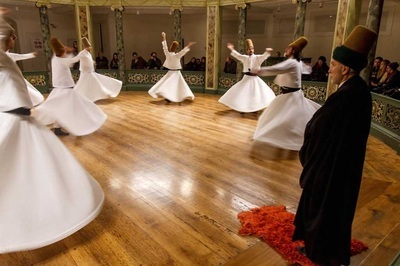 Today from past it has been well known with whirling ceremony which symbolizes a mystical journey of man's spiritual ascent through mind and love to "Perfect". Whirling towards the truth, his growth, through love, deserts his ego, discovers the truth and reaches to the "Perfect"
The sections of Mevlevi Lodge Dervish Hall influenced by Istanbul Earthquake named Little Doomsday (Kucuk Kiyamet in Turkish) in 1509 was turned into an enormous social complex by experiencing many renovations since at the beginning of 17th century. The first restoration was organized by Matbah Ismail Aga between 1649 and 1650. Harmed in a fire named as The Big Tophane Fire in 1765, Whirling Dervish Hall was repaired by grand architecture Osman Efendi of Yenisehir at the request of Ottoman Sultan Mustafa III between 1717 and 1774. 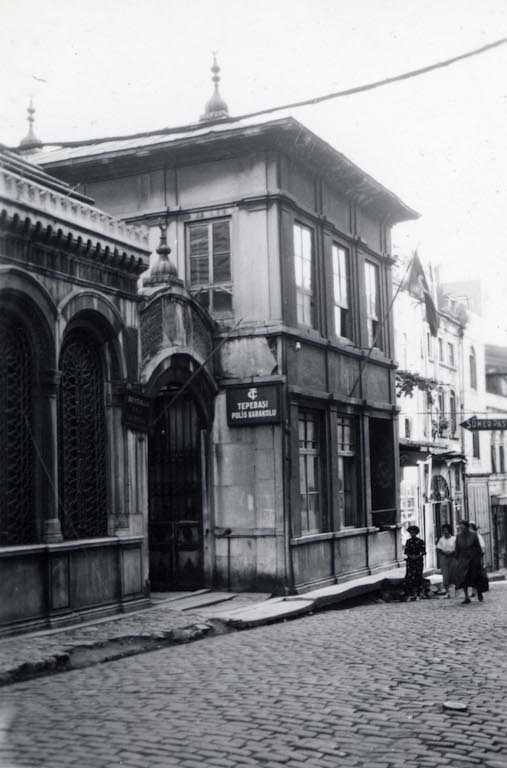 Moreover, as a result of contributions of great Sheikh Galip and Ottoman Sultan Selim III (1761-1807), there was an important development upon the renovation of that construction. In 19th century, the time of Sultan Mahmud II and Sultan Abdulmecid, the restoration of that fascinating construction was completed. It includes many different parts and every part emphasizes the significance of that valuable museum. It is located on the Galipdede Street. 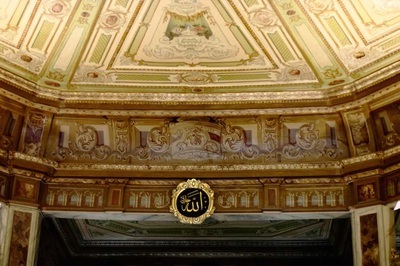 The entrance section of that wooden part includes an inscription belonging to Sultan Abdulmecid. Reflecting one of the best samples of Baroque Style in 18th century, the structure is octagon planned. Turkish music instruments and another works belonging to the culture of whirling dervish (mevlevi) are exhibitedwithin that section. 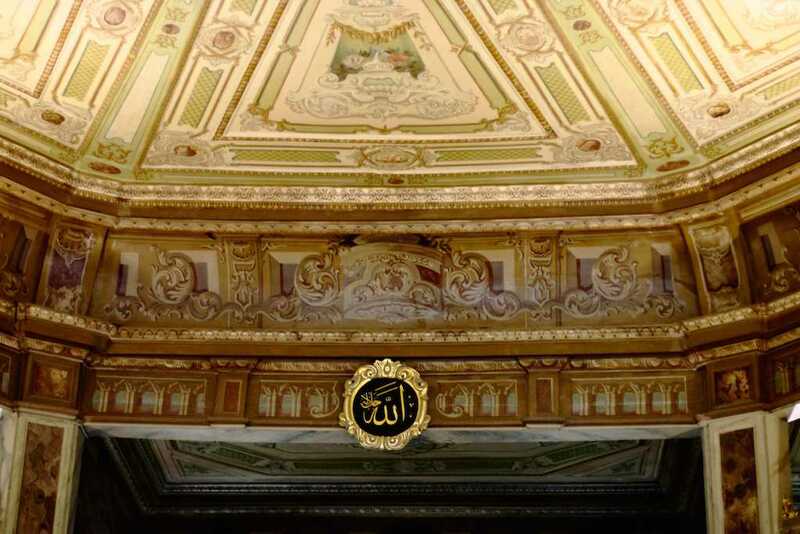 Also on the upper part, there are placed the sofas of poets and many various manuscripts belonging to Mevlevi artists such as Sheikh Galip, Ismail Ankaravi, EsrarDede, FasihDede and great poet Leyla Hanım. Additionaly, the rooms of Sheikhs and HunkarMahfeli (Sultan’s gathering place) are found here. They are placed on the ground floor of the museum. Within those rooms it is seen that there consists of religion stuffs like keskülüfukara, mutteka, nefir and tacıserif and Mevlevi clothes. Found on the upper floor, that part surrogates the museum from three sides. 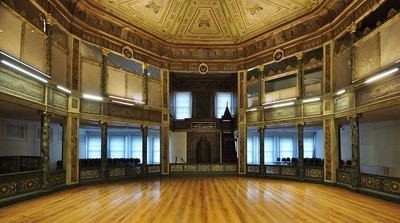 The exhibition of famous artist Mustafa Düzgünman, marbling art, calligraphy, Hilye-I Serif Panels, ÇelebiMahfili, Sultan Mahfili, music instruments are displayed here. Especially there is also found EcnebilerMahfili which is a place organized Sema Ceremonies. Built by Halet Said Efendi, that structure is located on the upper floor of Muvakkithane. That fascinating library attracts the people thank to including 3455 kind of books. 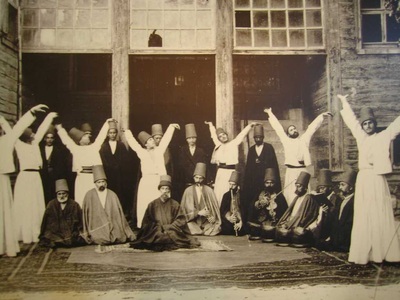 There are found many various graves belonging to dervishes, famous poets like famed composer Vardakoska Seyyid Ahmed Aga, Nayi Osman Dede and Tepedenli Ali Pasha. Especially, it is very important that the explorer of first printing press, Ibrahim Müteferrika was burried here.